In compliance with what President Duterte said, the airport authorities said they would stop baggage theft, "no ifs and buts." DOTr Secretary Arthur Tugade ordered wearing of body cameras to all employees with direct access to passenger baggage. 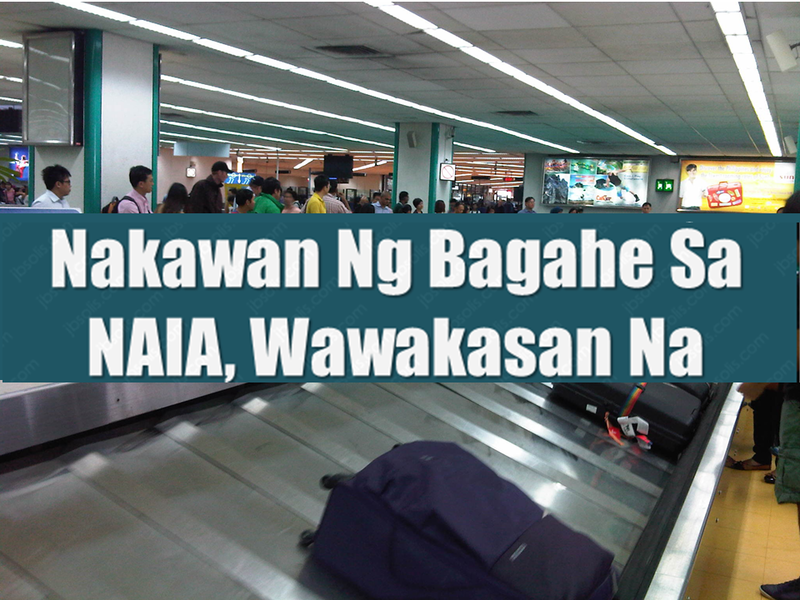 CCTV cameras will also be installed in all areas where baggage and containers pass through from the plane to the airport and vice versa. 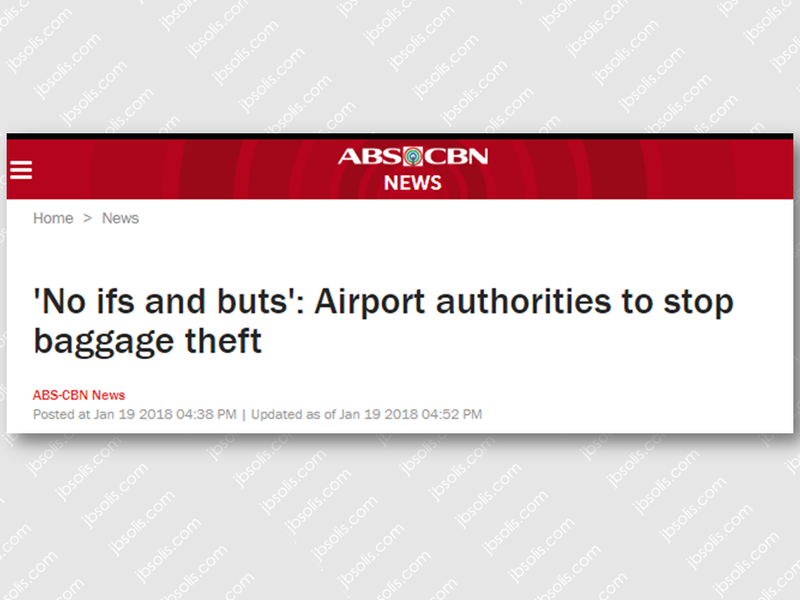 President Rodrigo Duterte warned airport officials that he would fire them should there be another case of luggage pilferage, like what happened to the two returning OFWs at Clark International Airport. 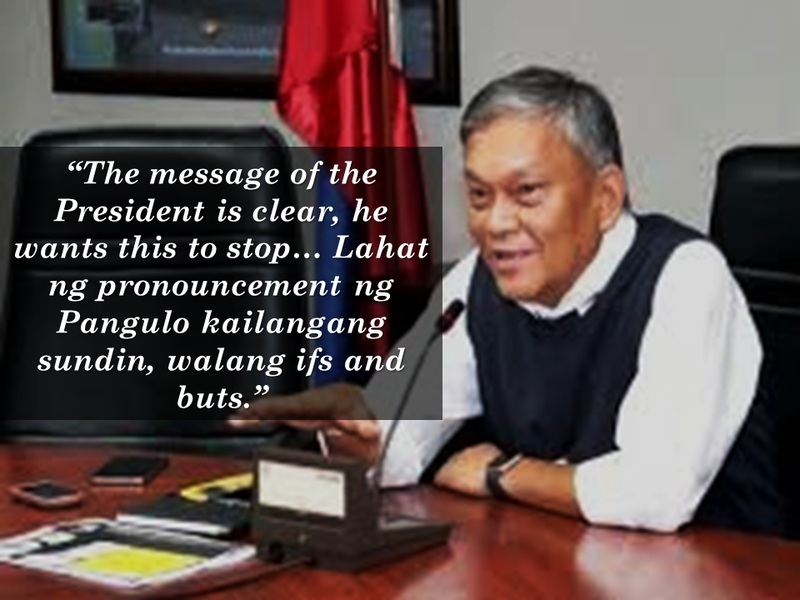 MIAA General Manager Ed Monreal said that all pronouncements of the President must be followed, no ifs and buts. 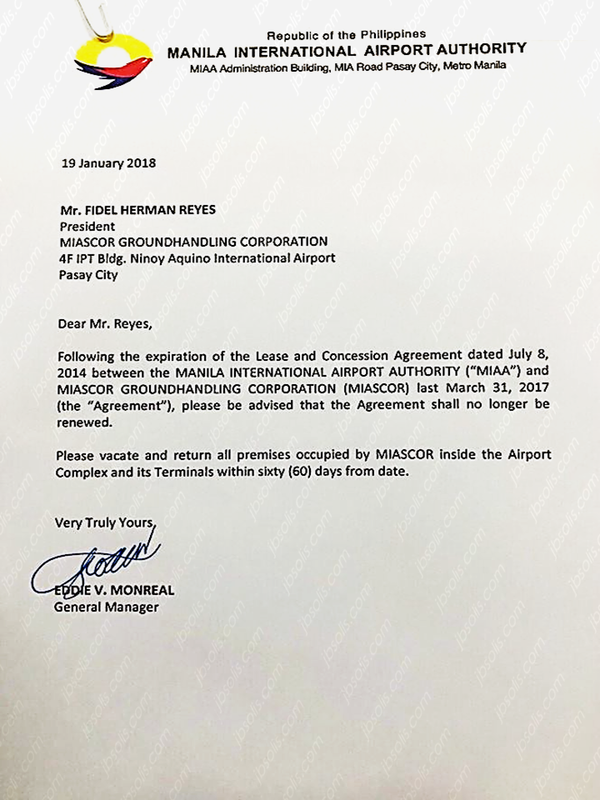 MIAA will also no longer renew its contract with service provider MIASCOR as ordered by the President.The company was given 60 days to wind down operations according to Monreal.